Home Industry Updates FILLING & PACKAGING It’s NOT Rocket Science!! Following Elon Musk’s successful use of Returnable Packaging recently, he had this to say to reporters, “It would be like trying to sell an aircraft where one aircraft company has a re-useable aircraft and all the other companies had an aircraft that were single use. Crazy as that sounds – that’s how the rocket business works”! Just like Space X, who will now have 2 rockets to re-use on the next trip, many Food producers are realising that sending one-way packaging like cardboard boxes, trays & drums is both expensive in the long run and also not good for the planet and our renewed push to move more away from land fill and into recycling. Recently the UAE government pledged to divert 75% away from land fill by 2021 which is an excellent ambitious target, it will mean more businesses looking at how they can cut their own carbon footprints and reduce the throw away packaging in the yard. 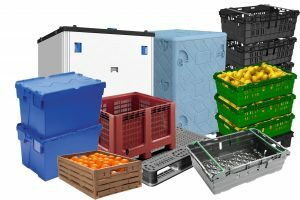 Companies like MECS, based in the UAE are promoting a whole range of Returnable Transport Packaging (RTP) Solutions including Retail Ready Trays, Foldable & Nestable crates, plastic Pallets and FLC’s. Mark Hammond, MECS Co-Founder had this to say “Our customers are looking for ways to cut cost from their own supply chain or asking how they can deliver benefits to their customers who are constantly pushing for the newest developments. We offer a consultative approach which usually leads us to finding an area or packaging item which can be converted to RTP that ultimately benefits, both our customer and their end users. 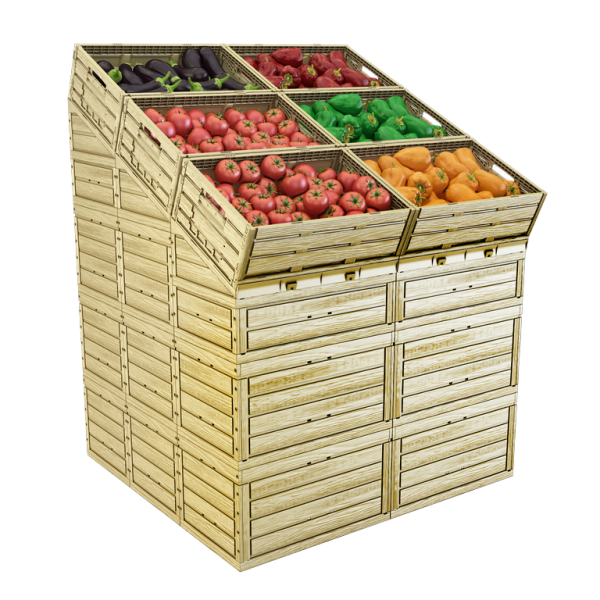 Retail Ready Packaging cuts a lot of double handling and manual lifting, it also makes the produce look much more appealing to the shopper. Advances in Polymers have led to Wood Effect Trays giving a real ‘Fresh Market ‘feel to shop floor displays. Using RTP cuts a lot of throw away cardboard which benefits all of us. It’s not Rocket Science and if a genius like Elon Musk has seen the benefits, maybe you should challenge your own business to look at its throw away ‘rockets’!